Lighter colorways for the heavyweight silhouette. Following reworks from the likes of Y-3 and Eric Emanuel, the classic adidas Rivalry basketball sneaker has received a set of summer-friendly colorways. Offered in the contemporary RM makeup, the retro-indebted shoes boast beefy midsoles and colorful accents atop the vamp. Each utilizing a beige base to highlight the colorful accents, two new models of the tall basketball sneaker have emerged in time for warmer weather. 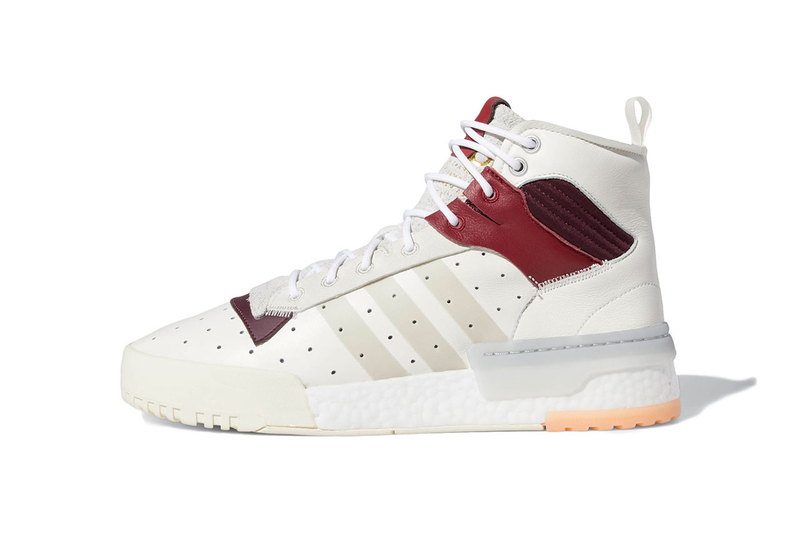 Tonal leather uppers mesh with the complementary toecap, translucent heel panel and gum-tinged rear outsole, with a clean white BOOST midsole for on- or off-court comfort. Suede on the tongue and white rope laces grant the sneaker a clean, modern finish. Different hues inform the leather panels on the tongue, shaft and toebox, distinguishing the new models. One makeup offers black and red accents, making for a sporty twist on the beefy shoe, while the other is informed by sunny yellow. Regardless of accent, the sneakers both retain gold-tinged branding beneath the tongue’s leather pulltab. Shop the new Rivalry RM colorways on adidas’ site for $140 USD apiece. Elsewhere, another throwback adidas model received a seasonal makeover when the Continental 80 emerged with leopard-printed pony hair. The West Coast rapper is sending shots. HBO’s biggest telecast in history.